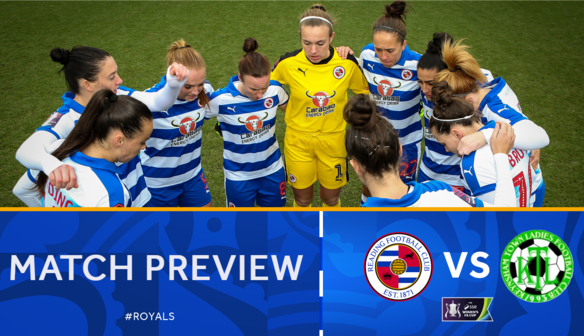 The Royals are back in action this coming Sunday when they entertain Keynsham Town Ladies at Woking FC in a 4th round FA Cup meeting. Although games of this nature are certainly never easy, Kelly Chambers’ side will undoubtedly be expected to proceed to the last 16 of the competition. It will be the ideal opportunity for the side to get back on the winning trail after a run of six league and cup fixtures without a victory. 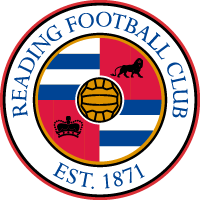 It will also provide an opportunity for the Reading management, should they so wish, to give a run out to some of the fringe players in the squad. Reading’s last victory in this competition was in March 2016 when they defeated Millwall Lionesses 2-0 in their first ever competitive fixture at Adams Park. The goals that afternoon came from Jade Boho-Sayo who scored on her debut and from Emma Follis. The run though ended at the quarter final stage at the Hetton Centre when Sunderland AFC Ladies won 3-0 (goals from Beth Mead, Victoria Williams and a certain Brooke Chaplen!). Moving on to last season Reading faced fellow WSL1 side Birmingham City at Adams Park in the 4th round. As with all recent meetings with the Midland side this was a hard-fought encounter that was settled by a goal from City’s German defender Marisa Ewers. Keynsham have reached this stage of the competition courtesy of home victories over AFC Bournemouth 8-1, C&K Basildon 8-3, and Fylde 2-1.Keynsham play in Tier 4 in the Women’s Pyramid of Football 2018/2019. They compete in the National League, Division One South West and are currently second in the league, with only Southampton WFC above them. They have suffered only one league defeat this season and have scored a massive 58 goals conceding just 10 giving them a formidable goal difference of + 48. Their one defeat was 0-3 at home to leaders Southampton WFC. Their best wins have been 9-0 home wins over Buckland Athletic and over Poole Town, and a 9-2 win at Larkhall Athletic. On Sunday they will be looking to produce a major cup upset against The Royals who are three tiers above them in the Pyramid. The ground is situated on the A247, opposite the entrance to Woking Park, midway between the town centre and Old Woking. The shortest route from Reading is via the A329 towards Bracknell and then picking up the A322 towards Woking. From the town centre follow signs towards Old Woking (A247). At the bottom of Claremont Road turn left onto the A247 Kingfield Road and the entrance to the ground is down on the right. Mileage from Reading town centre is 25. As regards parking, I have read that there is no parking available at the ground. Therefore, it is either street parking (if you arrive early enough there are spaces on Westfield Avenue) or at the Woking Leisure Centre which is opposite the entrance to the ground and apparently is free to park in for up to three hours. Otherwise a 15-minute walk from the ground (and well sign posted) around the town centre is the Heathside multi storey car park (a walking route is signposted from the car park to the ground). Safe travelling! Your support is very much appreciated by all at Reading Football Club.